Do you enjoy sipping drinks through plastic straws? If you’re someone who often eats out, you might have noticed the latest fad in the F&B industry – the straw-free movement. F&B chains like KFC have phased out plastic straws entirely, and Starbucks has announced its plans to go 100% straw-free by 2020. The premise behind this social movement is rooted in environmental responsibility, with the expressed goal of reducing our output of plastic waste. 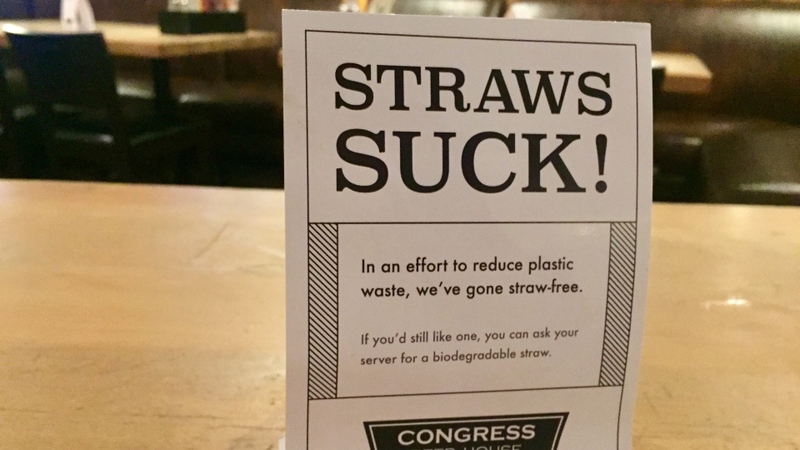 While noble in its intentions, the straw-free movement or “stop sucking” as it’s sometimes called, hardly constitutes an environmental “revolution”. It’s effect on the environment are negligible at best. Let’s unpack some of the common myths that are dominating the discourse. Do we really use 500 million straws everyday? The 500 million figure was repeatedly mentioned in the United States. It alludes to the notion that Americans supposedly use 500 million straws, everyday. That figure first appeared in a middle school child’s project. In 2011, 9 year-old Milo Cress contacted US straw manufacturers whose estimates he collected indicated that, between all the straws handed out at restaurants, in hospitals, nursing homes, at convenience stores, schools, workplace cafeterias, on the sides of juice and milk boxes, etc., Americans use about 500 million straws per day. This is when he decided to launch his project, Be Straw Free, to reduce our use of plastic straws. Since then, the 500 million figure has been cited widely, appearing in stories by USA Today, CNN, The Washington Post, The Wall Street Journal, Fox News and, The New York Times. But according to data provided by analysis firm Technomic, the actual number is far lower, at around 170 – 175 million straws per day. 175 million straws per day in the United States is still a massive number by any measure, but how do plastic straws stack up when compared to the total output of plastic waste? Will ditching plastic straws reduce our plastic waste? Make no mistake, plastic pollution in our oceans is a very real problem. However, only 1% of it comes from the United States. Plastic waste is disproportionately produced by developing or third world countries with lax environmental regulations. What’s more is that plastic straws constitute a minuscule proportion of the total output of plastic waste. Plastic straws account for only 4 percent of total plastic waste by piece. Two Australian scientists estimate that there are up to 8.3 billion plastic straws scattered on global coastlines. Yet even if all those straws were suddenly washed into the sea, they’d account for about .03 percent of the 8 million metric tons of plastics estimated to enter the oceans in a given year. Ditching plastic straws might be “hip”, but realistically, their impact on the environment is negligible. 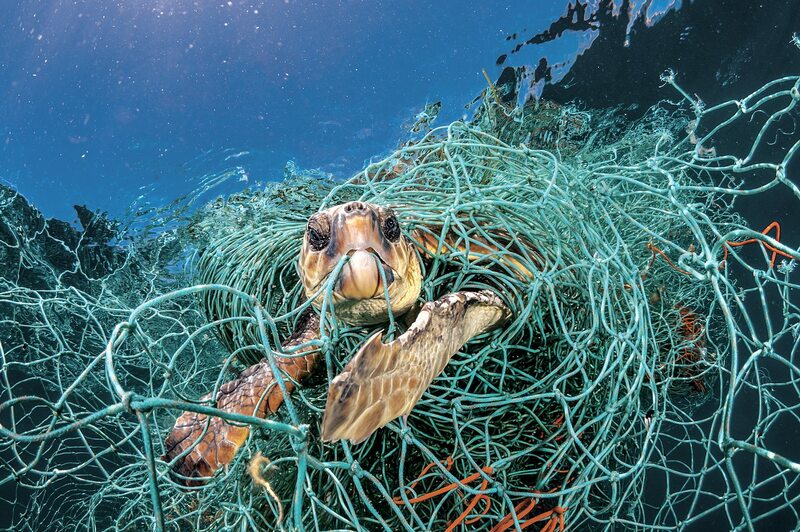 A recent survey by scientists working with Ocean Cleanup, revealed that at least 46 percent of the plastic in the garbage patch by weight comes from a single product: fishing nets. Other fishing gear makes up a substantial proportion of the rest. Why is the straw-free movement still a thing? The answer can be summed up in one word – virtue signalling. In the grand scheme of things, removing plastic straws represent a cosmetic change at best. But as a business strategy, it constitutes the best of both worlds. Not only do businesses appear “hip” and “socially responsible” to their customers, they also reduce operational costs. For the consumer, it’s represents a convenient distraction from the real issues plaguing the environment. Going “straw-free” provides the illusory comfort that we are “doing our part” to “save the environment”, when in reality, the aggregate impact of individual decisions to ditch plastic straws hardly reduce our total waste. This is not an indictment of environmental responsibility, but if we were truly concerned about the environment, our focus should be targeted against the biggest culprits of pollution – corporations, industrial polluters, and developing countries. Previous Singaporean Smokers: Why Are We Being Ignored?